One thing we often see our customers puzzling over is how to make the colour of their floor tie in with everything else in the room. Because it’s visually such a big area, flooring has a huge impact on the room’s overall look and feel. We’re used to helping customers make decisions such as whether to choose engineered or solid wood floors. In this blog post, we thought we would share some of the tips and tricks we’ve learned about making your choice of flooring play nicely with the other design elements in a room. One tip is to match to the patterns on your floor. For example, if you have a very large rug with a pattern, or a patterned carpet, identify the dominant colours within it. Then use these to guide the rest of your colour scheme in the room. This can even work if you wanted a neutral colour scheme in the rest of the room – match the neutral colours that occur in your floor covering. One option that works reliably for homeowners seeking to integrate their flooring with their room is to follow a dark-lighter-lightest approach. The floor forms the darkest element, the walls are lighter, the ceiling lightest of all. One reason why this works might be that it imitates our external environment – dark earth underfoot, buildings or trees straight ahead, lighter sky overhead. Having said that, we’ve seen many homes where a lighter floor works really well with darker walls – see ‘be your own expert’ below. A colour wheel can be an incredibly useful tool for matching your floor with the rest of the room. You can find online, interactive colour wheels at palleton and an iPhone colour wheel app at colour schemer. 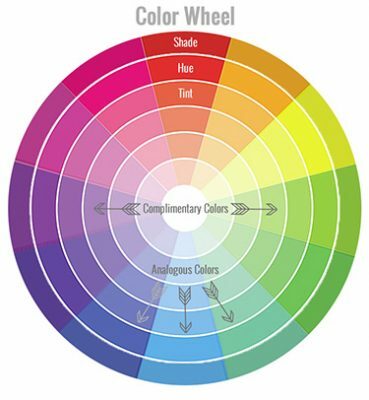 We also recommend you spend a few minutes reading one of the excellent colour theory guides, such as this one from freshome.com. Analogous colour scheme. Here, you pick one colour from the wheel as your base shade. This will be the colour in about 60% of the room. Then pick the two colours on the wheel that are adjacent to the first. One of these will make up 30% of the room’s colour, the other will be the remaining 10%. Make the 10% colour the most vibrant of the three. For something bolder, try a Split-Complementary Color Scheme. On the colour wheel, pick your base shade for the room. Then find the colour directly opposite, and choose the two shades either side of this for complementary colours. This gives a nice bold contrast without being too shrieking. Whatever ‘rule’ you’re told about floor and walls, you can break it. We see all sorts of colour combinations of floors and walls that work really well. It’s worth remembering that even the design experts disagree on how to make colour schemes work. For example, many designers believe that darker flooring gives large rooms a cosier more intimate feel. Conversely, flooring in a small room should be lighter, opening the space up. But others, like colour guru Mark McCauley, consider that you shouldn’t try to ‘fool’ the eye. Let big rooms be big rooms with light colour palettes and small ones be cosy with darker colours. The truth is that you have to live with your flooring choices, not the designers. You have to experiment to find your own personal style. Fortunately, there are now some stupendous apps that will let you experiment with all the floor and wall combinations you like, without having to make expensive mistakes. One of the most useful could be Color911. This handy app allows you to upload pictures of a room or item within a room. The app then finds a range of colours to complement it. 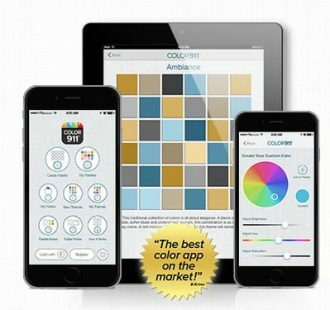 You could, for example, take a photo of a floor colour you like, and the app will suggest colours that might work well on the walls. If you want to know whether a piece of furniture will match your choice of flooring, try Homestyler Interior Design by Autodesk. You can take a photo of your existing room and then digitally insert your potential purchase, such as a suite. Obviously, apps like these have their limitations, but they are a big step forward in helping people out in making tricky decisions in matching their flooring. When you’re ready to choose your new floor, or even if you need a bit more help, chat with our friendly team at BSB Flooring. 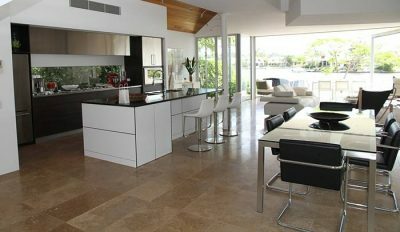 With over 50 years combined experience, we have the skills to supply and install the perfect floor for your home.